Most importantly, you are joining a lifestyle which is healthy, positive and friendly. Whether your goal is to get fit, run a mile, lose a stone or win a triathlon, BRT will make achieving those goals more possible with a wealth of knowledge within the club and we'll make it enjoyable along the way! Some of the current benefits to joining BRT are below, and the club is always adding to the benefits of being a BRT member. It's only £3 a month for non EA affiliated members. In reality £3 is pretty good value for the training and coaching opportunities available to you each month. If you are still not convinced have a look at how much a single spin class will cost you at a local gym as a non-member. As an EA affiliated member the fees have actually gone down. 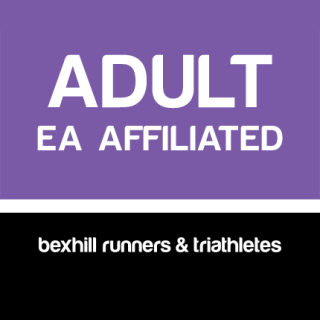 Annual EA membership is now £15, the £45 annual combined BRT and EA membership in fact includes the first £6 of the EA element being funded by the club. The reason for this is simple, we want more members to become EA registered. It is good for the profile of the club, raises our opportunities to secure extra entries to races like the London marathon but mainly it is good for you. More and more members are participating in races, entry as an EA affiliated club member will save you at least £2 a race. It doesn’t take many races (four in fact) to realise that you have already saved the money you spent at the start of the year. Membership also gives you other benefits such as vouchers for use at Sweatshop ,deals on New Balance shoes and reduced price coaching courses (if interested). 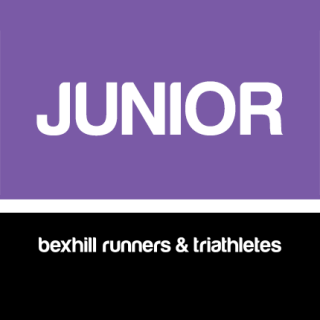 Membership benefits still include access to three run sessions a week, a coached swim session on Friday, coaching advice at your request including training plans and the real benefit of training with other people. The range of abilities across the membership mean there is always someone to chase or to push you along when it starts to hurt. No pain no gain isn’t entirely true but you certainly get quicker training together. 'Pay Online Below' and then PLEASE fill in the 'Membership & Health Questionnaire'.